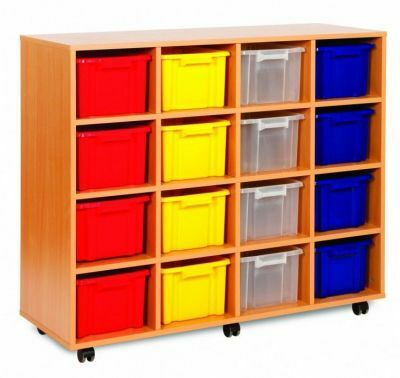 This education storage unit is part of our budget range and includes 12 deep trays that are available in 4 different colour options: red blue, yellow and clear. Mounted on 4 easy glide castors makes it ideal for teaching spaces. If you require 4 or more units please speak to a member of our team.